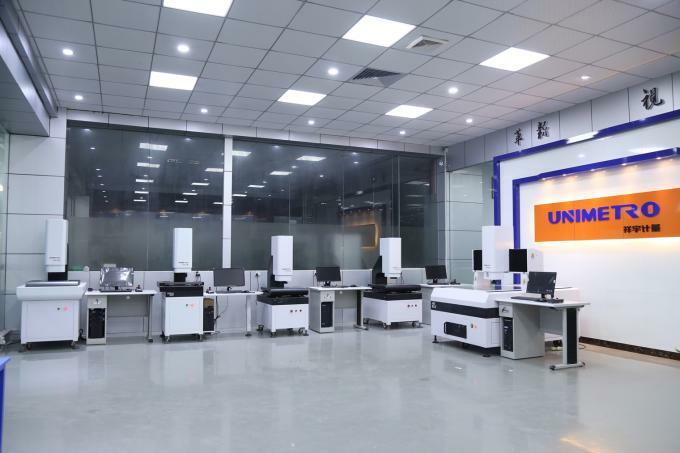 The UNIMETRO RANGER600 Tool Inspection System is the universal measuring machine for drills, milling cutters and counters and countersinks under Flexible illuminating system. 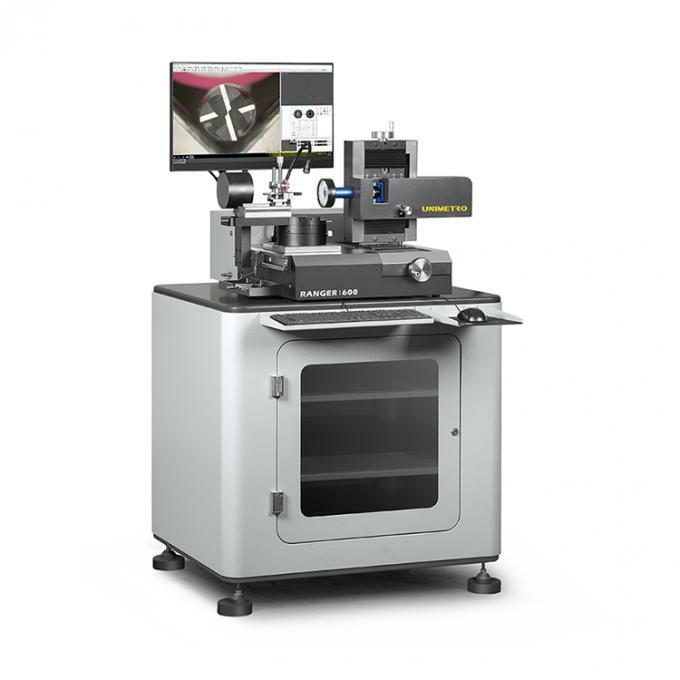 Thanks to the compact design and great stability, The RANGER600 can be employed in the metrology room, receiving inspection, or directly in production. 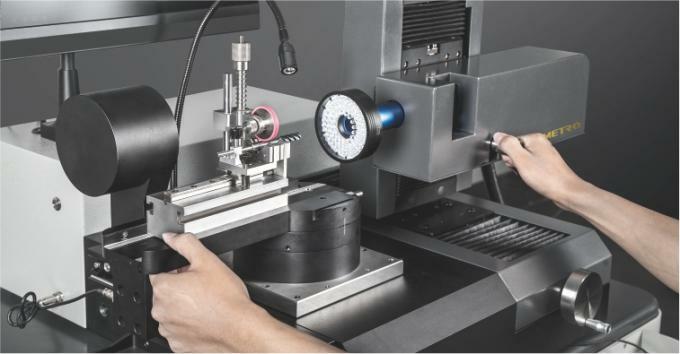 The RANGER600 Tool Inspection system is configured with SMARTOOL universal measuring software, which makes it the best instrument for all types of metal cutting tools, starting from fast checking of single criteria, such as the outer contour or angles, to complete control of special tool geometries. Users can easily achieve a PUT-MEASURE-ANALYSE measuring process with the RANGER600. --Ergonomic design and solid construction. --HD image capturing and display combination, also microscope magnification level is optional. --Stable and accurate V block for easy tools holding and alignment. 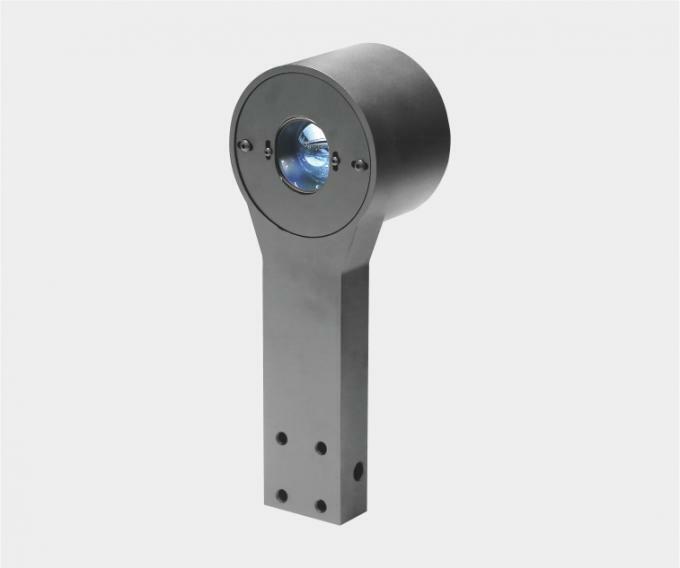 --Mechanical fixed measuring angle of 0 degree and 90 degrees are available on the rotary stage. --High accuracy encoder is embedded in the rotary table, offers precise angle location for users. --Multiple section programmable LED ring light for surface illumination, also including contour lighting and free angle auxiliary light for standard features. --SMARTOOL measuring software offers specific measuring function for cutting tools. --Automatic edge detection, fast angle measurement with reticle, CAD element comparison functions are available. --Measuring result fast output to EXCEL file report or CAD file. --ALL-IN-ONE PC system makes the machine more stable. 8 sections LED ring light, contour light and flexible auxiliary light, all software control and programmable. 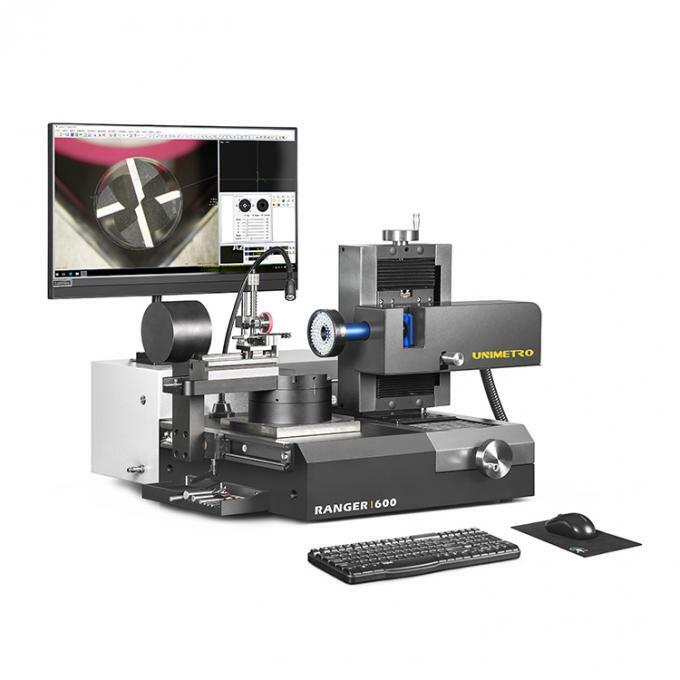 For a more fast and precise tools angle location during the measuring process, the rotary table of the RANGER600 offers 2 mechanical fixed angles, 0 degree and 90 degrees. At the 0 degree position users are able to measure Tool End, Tool End - Center shaft, Tool End - front angle, etc. And 90 degrees position is available for Helix angle, Axial Front angle, First Rear angle, Second Rear angle and Tilting Edge angle, etc. If other angle location should be required, users can also use the accurate encoder which is embedded in the rotary table to obtain. The angle reading is display in the software. A dimmable additional light is available on a flexible arm. Which helps the users to get a local enhance image. The RANGER600 is including a parallel light path contour LED light module, which is movable along the X axis direction, offers the best image and sharp edge of the object view to the user when measuring the contour of the tool. 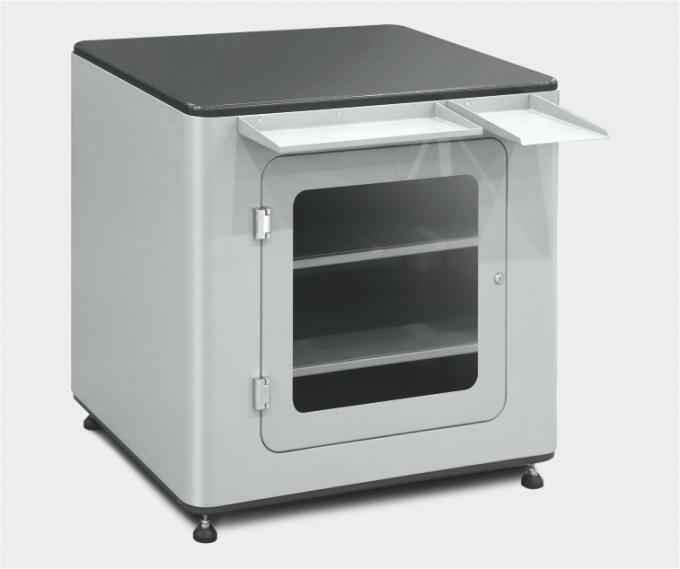 Solid standing work station with practical and open-view storage space for storage of materials and tools. A multiple section tools holder is embedded at the side of the machine. Users can hold all the tools in order for preparation to avoid confusion. 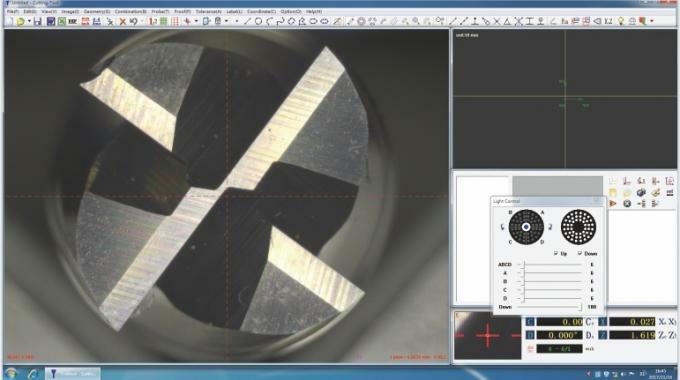 The SMARTOOL Cutting Tools Measuring Software is developed based on high accuracy optical and digital measuring technology, it is easy and intuitive to operate and offers numerous measuring and evaluation algorithms specifically for tools manufactured or sharpened in grinding business. Sharp,high-contrast views at all magnification.Allmagnification are calibrated. 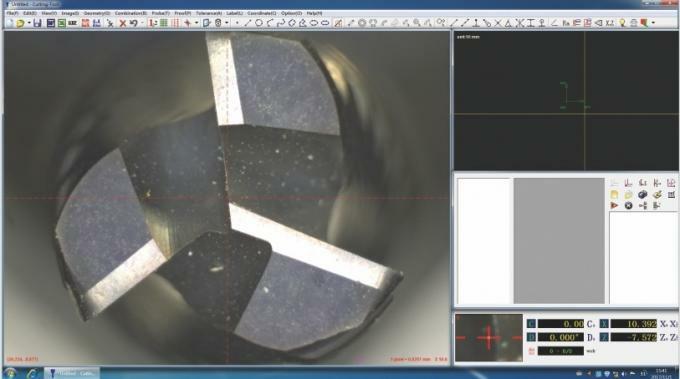 High zooming level allows analysis of even the smallest surface details or the inspection of micro-tools. Intuitive and easy-operating software interface-for fast and easy measurement application,all function keys and operation panel are graphical,and the automatic edge detection function helps to eliminate the measuring result difference of different operators. Free switch between obiect image view and real time contour curve view-users are able to get the observation and measure the max edges of the tools during dyamic rotating process.Advanced calibration and compensation process-the SMARTOOL software offers advanced calibration and compensation function,highly increase the accuracy of the measurement. High resolution image display and graphical operation interface. All function keys and control panel are displayed on the software window. The software offers real time edge detecting curve view, makes the edge analyse and measuring more intuitive and clear. Users are able to switch to the curve view mode at any time during measuring process. The reticle displayed in the image area of the SMARTOOL software is freely rotatable and able to display angles. Users can achieve fast angle measuring easily by using the retical for edge comparison. 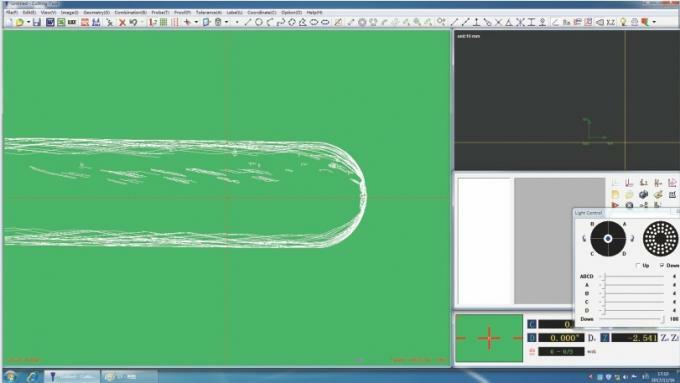 The SMARTOOL measuring software is supporting CAD comparison function. 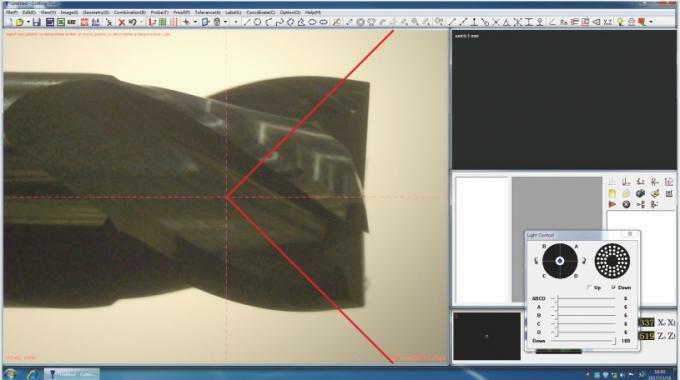 Users can directly input the CAD drawing of the tool to the software as reference, and compare the real image to the drawing to evaluate the geometries of the cutting tools.